The wellbeing of students, staff and families is important to our community. We care for and support each other in a variety of ways. We are a KidsMatter School. KidsMatter Primary is a mental health and wellbeing framework for primary schools and is proven to make a positive difference to the lives of Australian children. KidsMatter Primary provides the methods, tools and support to help schools work with parents and carers, health services and the wider community, to nurture happy, balanced kids. An Action Team of parents and staff working together, implements this framework. Staff teach Social-Emotional Learning programs in every year. The Rock and Water program is an experience that provides young people and adults a pathway to self-awareness, and increased self-confidence and social functioning. In Rock and Water a series of exercises and games are practised to develop confidence and self-reflection. The games are martial arts based, and students learn to block, hit strike shields, stand strong, negotiate using “rock” or “water” verbal approaches, walk away from a fight, consider alternatives to aggression, and develop understandings about who they are, their intuitive feelings and their personal direction. We employ an experienced educator to be our Student Welfare Officer. 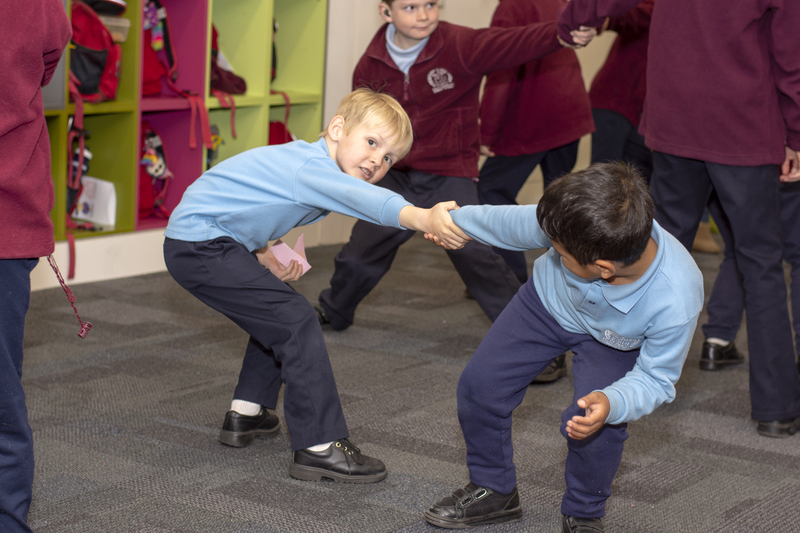 John Bourke works with groups of children as identified by teachers, to build their social skills, resilience and self-confidence, using games, role-play and talk. He also runs ‘Seasons for Growth’, is part of the KidsMatter Action Team and connects children and families to support networks. This program aims to strengthen the social and emotional wellbeing of children and young people (aged 6-18) who are dealing with major life changes including death, separation and divorce and other significant losses. We offer this program annually. A School Counsellor from CatholicCare is available each week. Referrals can be made by staff and parents. A referral form is available from the office. Parents and carers will always need to give written permission for the counsellor to spend time with your child. We subscribe to a number of programs which offer parents, carers and staff support and ideas. Webinars, resources and other support materials are shared through our newsletter and facebook pages. We operate a buddy system across the school, connecting younger students with older students. 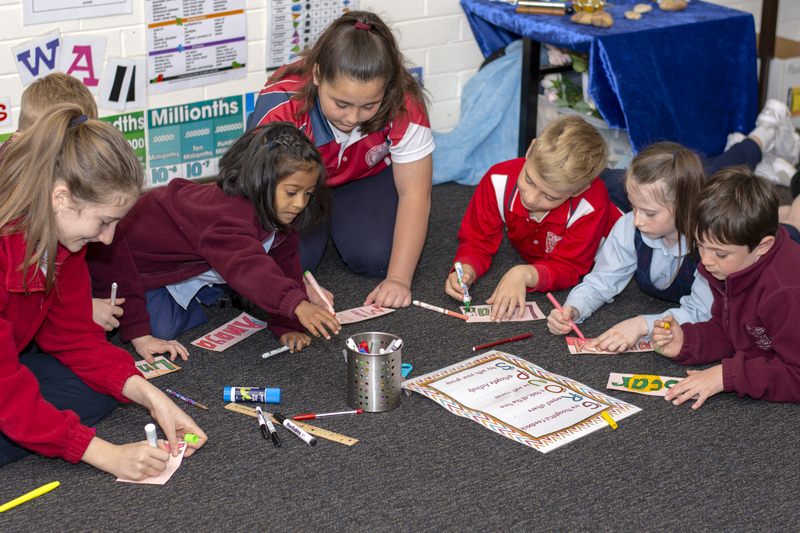 Buddy classes visit each other for activities including art, reading and going to mass. As a SunSmart school we create sun safe environments and influence sun protection behaviours through education, policy and role modelling.